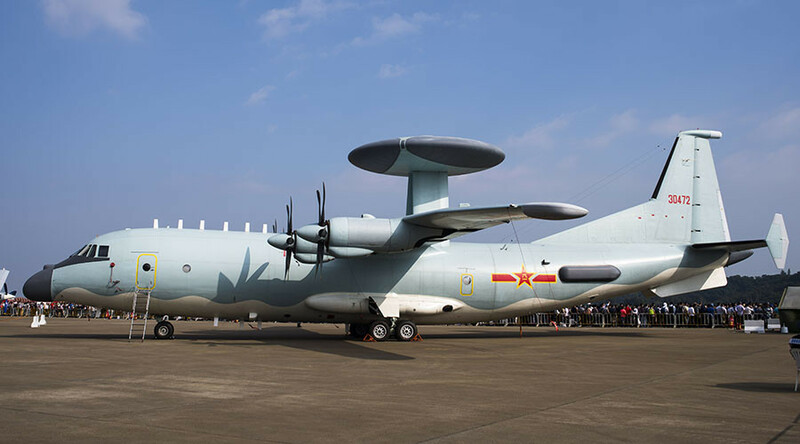 The Chinese military has deployed its latest airborne early warning and control aircraft to an air base in the vicinity of the contested South China Sea islands, according to Defense News, citing satellite imagery. The imagery provided by DigitalGlobe company shows a number of Shaanxi KJ-500 and KJ-200 airborne early warning and control (AEW&C) aircraft at the Jialaishi Air Base in the northern part of China’s Hainan island, Defense News reported on Friday. According to the news outlet, this is the first time China has stationed its state-of-the-art KJ-500 aircraft in Hainan. The new aircraft are expected to replace the ageing KJ-200s currently in service with the Chinese military. The large radar array provides for better situation awareness and allows guidance and control of enemy and friendly aircraft, while smaller radars installed on the nose and rear fuselage ensure additional coverage. KJ-500s entered service with the Chinese Air Force in late 2014 or early 2015, Defense News reports, with six KJ-500s known to have been delivered to the military as of January 2017, including at least two for the Navy. The aircraft deployed in Hainan come from two Air Force regiments tasked with carrying out special missions. The detachments usually operate from Lingshui on the southeastern part of Hainan. Jialaishi is one of three major Chinese Navy air bases in Hainan, which is located in the northern part of the South China Sea and its disputed islands. While Japan, Vietnam, the Philippines, and other nations all claim parts of the South China Sea as their own, China says that most of it has been within its territory for centuries. 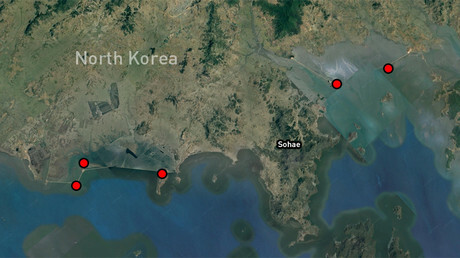 Tensions have been running high in the region, with claimants moving military assets closer to the disputed islands. 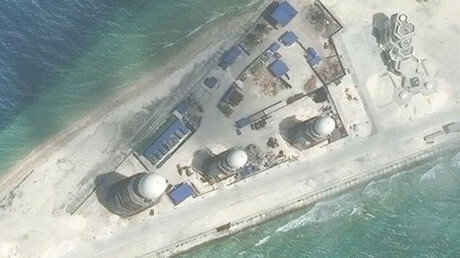 Over the past few years, China has built a number of military installations, airfields, radars, and anti-aircraft systems covering a sizeable area of the South China Sea. Earlier on Thursday, the Philippines moved troops and equipment to a disputed island in the South China Sea which is claimed by both Manila and Beijing, according to Lt. Gen. Raul del Rosario, head of the Philippines military’s Western Command. Troops and materiel arrived at Pag-asa Island last week – a move which triggered a harsh response from China. One day earlier, a top US Navy commander said American vessels will continue to operate in the area regardless of Beijing’s reaction. “US forces operate in the Asia-Pacific region on a daily basis, including in the South China Sea,” US Navy Commander Gary Ross told the South China Morning Post newspaper in an email.